Credit checks are a necessary part of applying for any loan, but they are especially important during two stages of the loan process: on the day you apply for a mortgage and shortly before closing on the loan. The first credit check is to ensure that you pay your bills on time and have sufficient income to purchase the property. The last credit check before closing is the lender’s last assurance that you are, indeed, creditworthy. Knowing what lenders look for on your credit report and in your FICO® score is important information and can help you prepare to get the best mortgage possible. Mortgage lenders take your credit score very seriously. Even though studies show that applicants with high FICO® (Fair Isaac Corporation) scores are more likely to strategically default on a mortgage loan (walk away from it), applicants with low scores are still considered a greater risk by lenders. Generally, the better your score, the more options you have. You’ll be able to buy with a lower down payment, access a wider variety of loan types, and pay fewer points for a lower mortgage interest rate. How much lower will your interest rates be if you have a good credit score? This will vary from individual to individual. Keep in mind that the FICO® scoring range runs from 300 to 850. Let’s say you’re applying for a 30-year mortgage and your FICO® score is 760, which is a very good score. Your interest rate may be among the lowest on the market. Now, let’s assume your FICO® score is quite a bit lower: only 620. Suddenly your interest rate is dramatically higher. If your score falls between 500 and 520, you will have much higher interest rates and you’ll find fewer lenders willing to work with you. Borrowers with scores between 300 and 500 are generally not considered creditworthy. If you’re interested in learning more about how your score impacts the interest rate on your new mortgage loan, see the chart at MyFico.com. My Score was Fine. Why Wasn’t I Approved? Even with a sterling FICO® score, you may still be turned down for a mortgage loan. If you are unemployed or have been within the past two years, you may not be approved for a loan. If you don’t make enough money to cover the monthly payments, you may be denied a loan. There are any number of reasons a lender may not want to work with you, even with a high FICO® score. Your financial history will not only affect your chances of buying a house, but may impact your ability to receive financing for a car, a vacation or for home renovations. Insurance rates may also be affected by your rating, as poor ratings usually mean higher premiums. Many colleges will consider your financial history before they approve student assistance programs. Even employment may be affected, as many employers require a credit check as a character reference before offering a position. I have a preferred list of mortgage lenders and will be happy to assist you with getting the best mortgage, feel free to contact me. Categories: first time home buyers, home buyers, metro Atlanta area, mortgage, real estate | Permalink. If you are selling, buying or relocating, whatever the case is – you’ll need to move! So we though the following tips might be useful to you. Have you ever noticed how busy your friends and family members become on your moving day? Can you blame them? Moving is tough, manual labor. The only reason that folks might be willing to help is in the hopes you’ll reciprocate when it’s their turn to move. Time: How much time do you have to devote to the move? If you’re relocating because of a new job and you’re on a time crunch, professional movers will save you a lot of time. Distance: How far away are you moving? Interstate moves involve a lot of driving with possible overnight stops along the way. Do you feel safe leaving your belongings in the parking lot overnight? Money: If you’re on a tight budget, a full-service mover may be out of the realm of possibility for you. Pack it yourself and hire professionals to load and deliver. Hire professionals to pack, load and deliver. Some companies offer unpacking services as well. Hire a professional with a truck. You pack, you load and he drives. Of course, like most things in life, the more services you desire, the more you’ll pay. Finding the right moving company for your needs is probably one of the most challenging aspects of the moving process. Ask friends, colleagues and family members for a referral. If that doesn’t work, the National Association of Realtors® suggests that you choose a mover that is a member of the American Moving and Storage Association (AMSA). Ask about the moving company’s responsibilities if items are damaged while in their care. Check with the Better Business Bureau for complaints against the company. Don’t accept telephone quotes. The only way to get an accurate quote is for the mover to assess your situation in person. Ask for an itemized breakdown of all fees the company charges and explanations of any that you don’t understand. Federal law requires movers to supply you with the booklet: “Your Rights and Responsibilities When You Move.” In it you will find information about your mover’s responsibilities and how to make the move go smoothly. Additionally, the U.S. Department of Transportation (DOT) warns consumers to never sign a mover’s blank documents. These papers are binding contracts and should be read thoroughly before signing. If there are blanks, other than one for the weight of your items, line them through or refuse to sign until the blanks are filled in. For help with choosing a mover and information on how to protect yourself and your belongings during the move, visit the DOT’s website. Categories: first time home buyers, home buyers, home sellers, home tips, Israelis in Atlanta, metro Atlanta area, real estate, relocation | Permalink. Congratulations, you’re purchasing your first home! While it’s easy to get swept up in the excitement of this first-time purchase, the process can become very overwhelming when it comes to working with your Real Estate Agent, Mortgage Broker, Banker, Attorney and a Georgia Home Insurance agent. As a result, your metro Atlanta home insurance problem solvers at Gillman Insurance share a few tips to help with the process. After all, we aim to make every insurance experience as painless and problem-free as possible! When consumers shop for the best value of airfare, they’re likely to look at more than one airline. The same applies to insurance. Much like the airline negotiators that represent multiple airlines and present online shoppers with the “best deal” available, an independent agent can offer the same advantage. Independent agencies represent multiple insurance carriers, so instead of trying to sell you one policy from one carrier (crafting “your needs” to match the policy), they have the flexibility to shop the market and find your match (crafting the policy to match your needs). When choosing an independent agency, take a look at online reviews. More and more, customer reviews are playing a vital part in purchase decisions and can act as a great indicator as to whether or not a particular agency will be there when you need it. Insurance isn’t an “apples to apples” game when it comes to comparing Home insurance coverage. Homeowners are flooded with the mass-media idea that “low price” indicates great value—but this is a dangerous misconception. At the end of the day, you want low price AND the right coverage. After all, you purchase insurance to protect you. If there’s no depth of legitimate coverage, you’ll end up paying for protection that won’t actually protect you, which makes no sense at all. Using “Market Value” as a home value indicator when securing home insurance is a big mistake. Unfortunately, market value reflects depreciation and/or the original cost of building your home—oftentimes by means of low-cost, bulk-supplies and labor purchased by a construction company. Thus, it’s important to use “replacement value” when insuring your home if you’re looking for a policy that will get you back to where you were before a loss occurred. – Homeowners Insurance: a form of property insurance that is designed to protect your home against damages to the house itself, and/or possessions inside the home. Home insurance also typically provides liability coverage against accidents. While this insurance covers most scenarios where loss could occur, some events are excluded such as earthquakes, floods, etc. It’s important you speak with your agent to determine if these additional coverages are suggested for your situation. – Auto Insurance: a form of protection designed to cover losses resulting from owning and operating an automobile. Losses may involve damage you cause as a result of accident to people or property and/or medical expenses incurred due to an accident. – Inland marine or “floaters” Insurance: this policy is designed to cover personal property deemed to be easily movable. If the owner’s property is lost, damaged or destroyed, this policy would cover the reimbursement. Examples of moveable property include electronics, jewelry, furniture or antiques. – Umbrella Coverage: a liability insurance policy that protects the assest and future income of the policy holder above and beyond the standard limits of his/her primary policies. It is distinguished from excess insurance, because it only goes into effect when all underlying policies are exhausted. – Life Insurance: a coverage plan is essentially a contract between the owner and insurer, stating that the insurer agrees to pay a designated beneficiary a sum of money upon the occurrence of the insured individual’s death or other event (such as terminal illness). – Disability-income insurance: a form of insurance that protects the beneficiary’s earned income against the risk that disability will make working (and thus earning income) impossible. This coverage includes paid sick leave, short-term disability benefits and long-term disability benefits. You can save upwards of 40% on your personal insurance premiums by combining your personal insurance policies, including home, auto, umbrella, inland marine and more. In addition to getting better value for premium paid, you’ll start building a good insurance history by keeping your policies in one place—which can be leveraged when your agent negotiates your coverage and rates. Most importantly, find a reliable agent that you trust! Your agent should act as your right arm when it comes to securing the best value of coverage for less, and keeping your policies in-line with your life changes along the way. Request your FREE coverage assessment by contacting Gillman insurance Problem Solvers today! We make it easier to secure the most reliable coverage for less—just fill our Georgia Home Insurance online form or call 678.297.7977 to speak with a specialist! Please Note: The content of this blog is provided for informational purposes only. It is not intended nor should it be viewed as legal advice. No one should act or refrain from acting on the basis of any information in this website without seeking the appropriate professional counsel on his or her particular circumstances. Additionally, no one should secure or dismiss insurance coverage on the basis of any information in this website without seeking an appropriate professional counsel on his or her particular circumstances. Although every effort is made to provide accurate and useful information, Gillman insurance Problem Solvers and any third party contributor(s) assumes no legal liability for the accuracy, completeness, or usefulness of any information disclosed on this site. Categories: first time home buyers, home buyers, home tips, Israelis in Atlanta, metro Atlanta area, real estate, Uncategorized | Permalink. 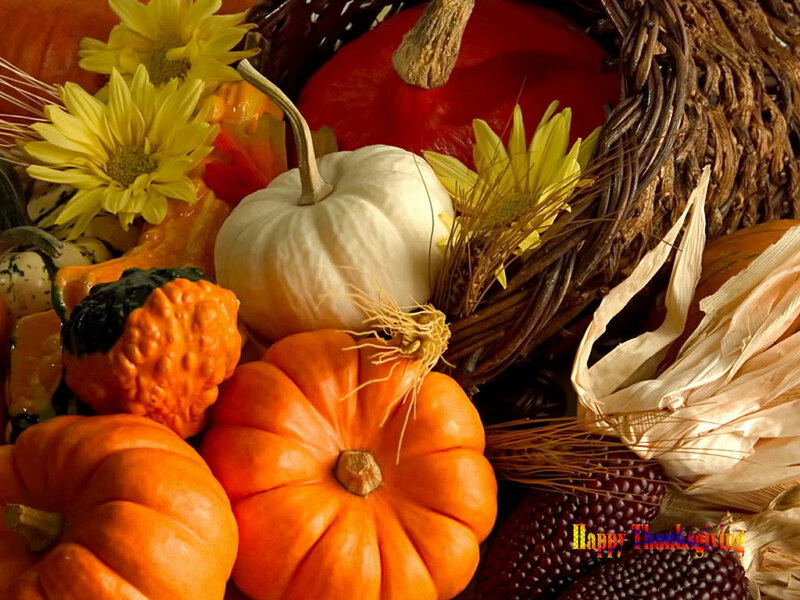 Wishing you all a wonderful and joyful Thanksgiving Day! Children alter how families look at homes during the home buying process. A family with children has to consider extra bedrooms, extra bathrooms, and safe places for children to learn and play. Indoor and outdoor recreation should be fun and comfortable, while safety should always remain the highest priority. Families generally want kids’ rooms on the same level of the house as the master bedroom. While a teenager might accept, or even want, a basement bedroom, small children’s rooms should be close enough for you to access them quickly at night. Consider the amenities you want in kids’ rooms. Bookcases, closet organizers, and other storage space can be a real asset. Some solutions can be added after the home is purchased, but a house with built-in storage can be a plus. Safety is also a consideration: In case of fire or similar emergency, you’ll want to make sure that your children will be able to safely escape their bedrooms. Children’s Hospital Boston reports that “over half of children ages five and under who die from home fires are asleep at the time of the fire,” but also that “children in homes without working smoke alarms are at greater risk of fire-related death and injury in the event of a fire.” This means that you should consider several fire escape routes when looking at the bedroom configuration in your prospective home, but you should also carefully assess the number, location, and condition of smoke detectors in your home no matter where the children will sleep. A home with a family room and a separate, more formal living room will let you relax while the kids are watching shows or host guests while your kids enjoy a minefield of Legos® on the floor in the adjacent room. When the children grow older, the toys can be picked up and the family room can become a place for study, arts and crafts, or hanging out with friends. A den can become a home fitness center, a library, or a guest room when your children fly the coop. Outdoor playsets and play areas can be real bonuses when families with children go house hunting, but always keep safety in mind. Playgrounds and play areas are only an advantage if they are safe areas for children. While your kids may be delighted by a ramshackle tree house, your first thought should be whether or not it’s safe. Generally speaking, store-bought playsets are safer than DIY play areas slapped together by an inexperienced handyman. Having said that, some amateur-built jungle gyms are well thought-out, inventive, beautifully-constructed, and safe enough for children to use. The U.S. Consumer Product Safety Commission (CPSC) publishes a broad variety of safety information on playground construction, materials, and components. When building or buying a play structure, think about its placement in relation to your home and the street. Constant supervision is important whenever children play, so make sure the space is visible from where you plan to spend time. The National Program for Playground Safety also recommends watching out for age-inappropriate equipment, hard surfaces, poorly-maintained equipment, and protuberances where children can become trapped. At first glance, a swimming pool seems like a great idea for families with children – it sounds great to have pool parties or just cool off on a hot day. Take a step back, however, and consider swimming pool safety. Even all of these safety precautions don’t completely guarantee your child’s safety around swimming pools. Many parents decide the allure of a swimming pool isn’t worth the safety issues. Those parents who do purchase a home with a swimming pool must commit to enclosing the pool securely and remaining vigilant as long as they have children in the home. Family homes should be safe and comfortable. While children do need practical and fun spaces to relax, play, and grow, parents should also consider safety when looking for the place that their children will call home. If you’re shopping for a home for your young children, think ahead to what they’ll need when they’re in high school. If your family might grow, think about whether you need extra space now or whether you can plan for a future addition. Consider whether the pool, playground, or tree house you’re looking at is more likely to enrich your children’s lives or endanger them. When you look at potential homes with your kids in mind, you can choose a home that offers the promise of a safe and enjoyable childhood. Categories: first time home buyers, home buyers, home tips, kids, metro Atlanta area, real estate, safety tips | Permalink. Yes, we know this sounds crazy but it happened to me a few times when the seller suddenly decides to put his foot down! Why it happens? Well, usually the whole situation is emotionally driven and can be triggered by the buyers coming with too many requests or not willing to be flexible on closing date and such. Beside the hard feeling this even end in the cancellation of the contract. So what should you do in this case? This is where having a great agent come into play! A great agent will work to detangled the seller’s, as well as your, emotions, find a common ground so all sides are happy and calmed down, so the transaction can be put back on track and be completed! Are you looking to buy and want an agent that can be there for you no matter what? Contact me today to find out how I can help you! You can also check out my website for more resources and important information for buyers. Categories: first time home buyers, home buyers, metro Atlanta area, real estate | Permalink. Thinking Of Selling? This Is The Time To Do It! Low-to-no competition – since the number of houses available on the market is so low, you barely have any competition so the chances are that you’ll get a lot of potential buyers coming to see your house. Higher sale-to-list ratio – low inventory is driving prices up. Why? because you can be more aggressive in negotiation and the current trends demonstrate that if you sell now, you’ll have a higher chance to score a higher sale-to-list ratio! Even better – 1 in 5 houses now sells above listing price! Serious buyers – it’s fall and winter is just upon us, hence, only serious buyers are now looking for a house. Find out how much your home is worth by contacting me today! Categories: home buyers, home sellers, metro Atlanta area, real estate | Permalink.